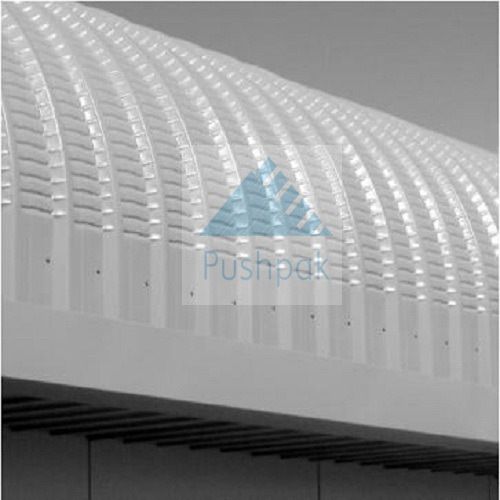 Curved Roofing Sheets are ideal for residential, commercial as well as for industrial usage. Our entire range is fully tested on all load performance parameters to suit most applications. This type of sheet offers excellent flexibility in designing. Easily curved in any complex shape for perfect architectural decoration, these roofing sheets need no special tools and accessories in their installation.